Builderall Review: Is It the Right Platform For You? Builderall is an all-in-one web design and digital marketing platform that will enable you to create and grow an online business. Whether you are an entrepreneur just beginning a business venture, a startup or small business, or a company looking to grow on a global scale, Builderall has the tools you need for online success. As you can see, by choosing Builderall, you will be able to create and grow your business from one central platform. This will save you time and money researching and investing in a wide assortment of tools that don’t necessarily integrate, and that all need to be learned and run separately. Builderall is for anyone who wants to create an online business. Whatever your design skills and experience, this intuitive platform, accompanied by its extensive support material, will enable you to quickly design and promote your products or services. All of the features mentioned below are available on the Builderall Business plan. However, if you are considering either the Web Presence or the Digital Marketing plan, then you need to check which features and tools are available with these packages before making a purchase. (Prices and plans will be covered further on in this article). Builderall provides dedicated local servers to host your websites, sales funnels, videos, webinars, and all other elements you create and publish. The Builderall CDN network also boasts servers in five continents, ensuring fast loading speeds and high uptime. As Builderall is a hosted solution, all maintenance, security, and backup issues are taken care of for you, so you can focus solely on your business. You can also register up to 15 domains and unlimited bandwidth and visitor numbers are included in each plan. The Pixel Perfect Builder enables you to create your website in three different formats, so you can control how your site looks on mobile, desktop, and tablet. This gives you control over the appearance of your site across all devices, but does mean that you need to spend extra time designing your site’s layout for each appliance. If you would rather design your site once, and let Builderall take care of ensuring your site is responsive on all devices, then you should use the Drag and Drop Responsive Builder. Both Builders work in the same style, allowing users to drag and drop elements around the page, change colors, text, add extra elements, and much more. The Mobile First Drag and Drop Builder also provides the same user-friendly experience as the two previously mentioned builders, so you can quickly create your mobile-friendly site without touching a line of code. One of the particularly impressive features of Builderall is the huge range of templates that it provides for its users. 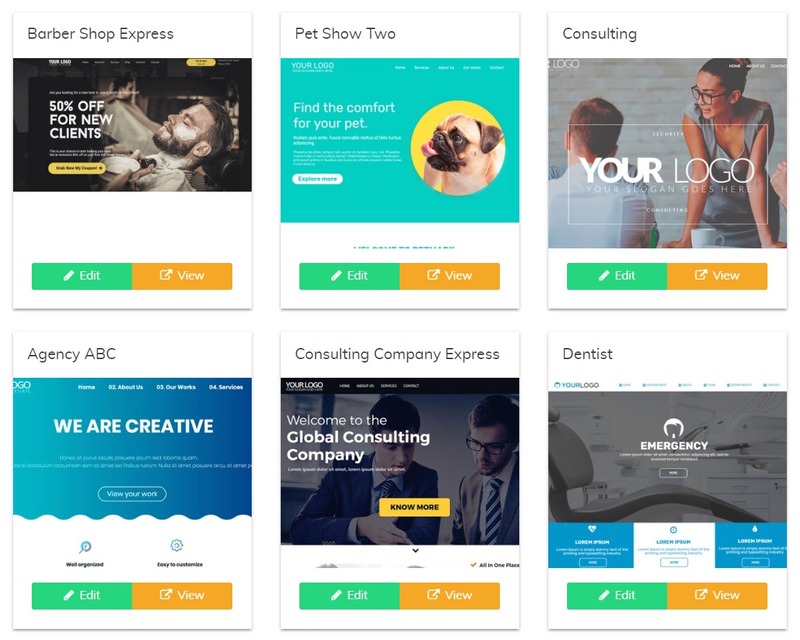 Whether you are looking to create a whole website, a sales funnel, a standalone landing page, or something else, Builderall provides a selection of beautiful and fully optimized templates that you can use to design your final piece. Once you have chosen your template, it can then be fully customized within one of the Builderall Builders. These templates provide a great starting point, and can be especially useful for those who either lack web design experience, creativity, or time. Builderall also provides a number of blank templates, enabling users to start their creations from scratch. The sales funnel templates are worthy of a further mention. These are designed with a sole focus on increasing sales and conversions. Templates come with a variety of options, integrations, and checkout possibilities, including two and three step checkouts. You can also enable cross and up-selling at checkout too. Design Studio – Create amazing images and videos for your website, products, courses, eBooks, social media, and more. Photo Studio – Edit your photos, add effects and text, change the size and backgrounds, and more. Builderall Image Spinner – Create attractive 3D images for your products to help increase sales. Video Editor – Produce animated videos, add animations, text, and sound, and then publish them on the channels of your choice. Floating Videos – Grab the attention of your audience with floating videos on your web pages. Simply design your video, install a pixel to the page you want the video to be displayed on, and then let the video run. As you can see, whatever your design needs, Builderall has the functionality to cater for your project. Builderall enables you to create your own eCommerce store and sell your products online. Simply add your products in the Builderall Marketplace, and then select your payment and delivery options. You will also find easy access to useful eCommerce features like coupons, pop-ups, a streamlined checkout process, and much more. You can also then set up an affiliate programme, so other individuals can sell your products for you. Equally, you can use Builderall to set up an affiliate website yourself, simply promoting products and earning commission, instead of dealing with sales. Also worth a mention is the Builderall Business affiliate programme. Once you sign up on the Builderall Business plan, you can promote Builderall and earn commission from any sales you make. 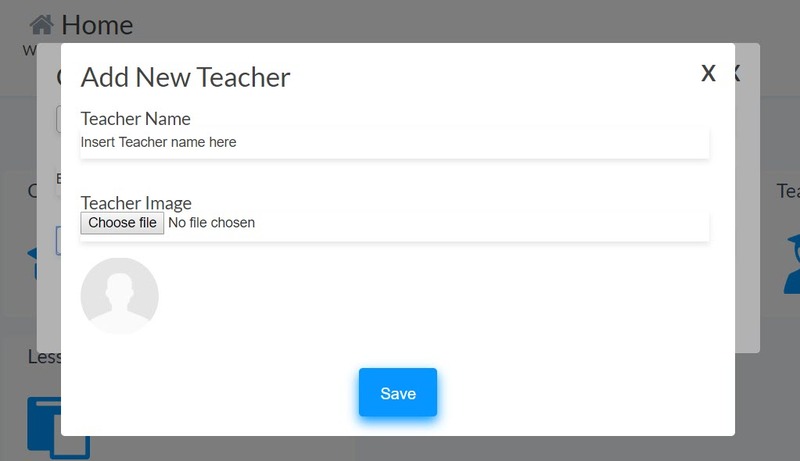 You can also set triggers, preventing students from jumping ahead and only allowing them access to parts of the course once they have completed previous lessons. Builderall allows you to create and sell an unlimited number of courses and lessons, making it a great choice for those that want to grow their online eLearning business. With Builderall you can turn some or all of your website into a membership site. To do so, you simply create a restricted area within one of the Builderall Builders, and then configure the registration and login settings to suit your project. Membership to your site can be free or you can charge a premium. This is an effective way to monetize your website and collect a monthly subscription fee from your members. 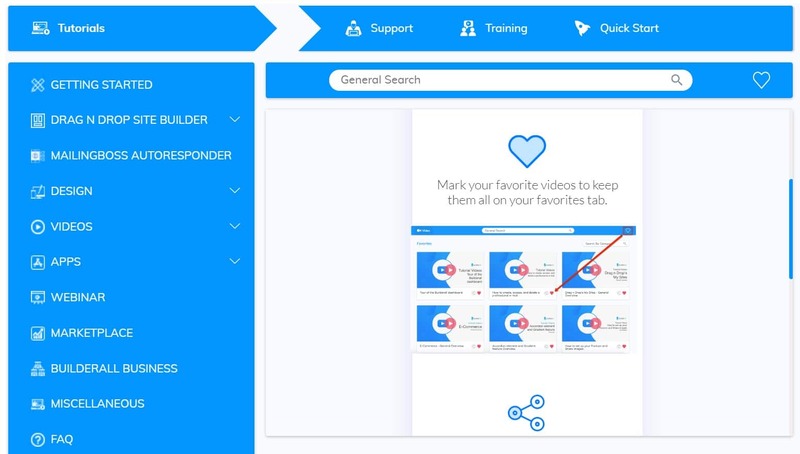 Upload content from your desktop, YouTube, and more. 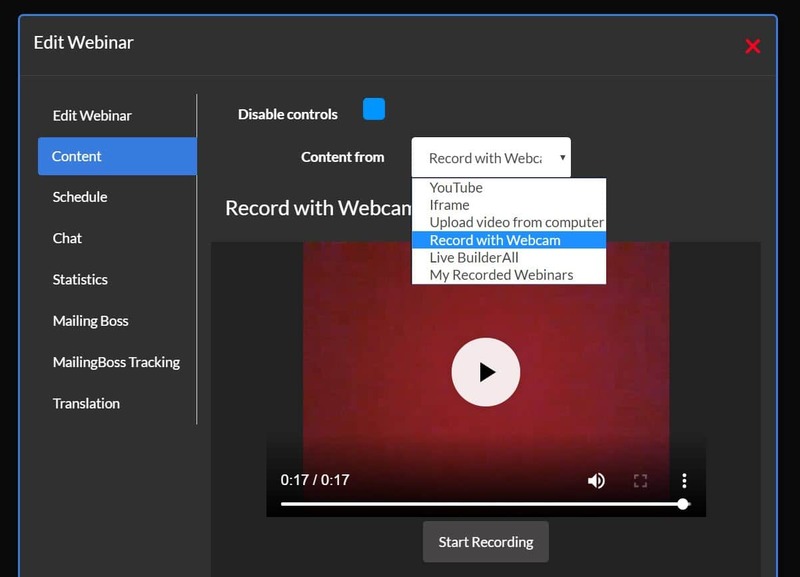 With a range of video tools available, you will quickly be able to record high-end webinars to promote your products and services, helping to increase sales and conversions. Another impressive tool from Builderall is the email marketing autoresponder, named Mailing Boss. Builderall has no limits to email campaigns, allowing you to send unlimited numbers of emails to unlimited numbers of recipients. New campaigns in Mailing Boss are quick and easy to set up and again pre-designed elements and templates are provided to help you design professional and eye-catching emails. You can also target your emails at particular groups of users, helping to personalize the emails your subscribers receive and increase conversions against your campaign goals. 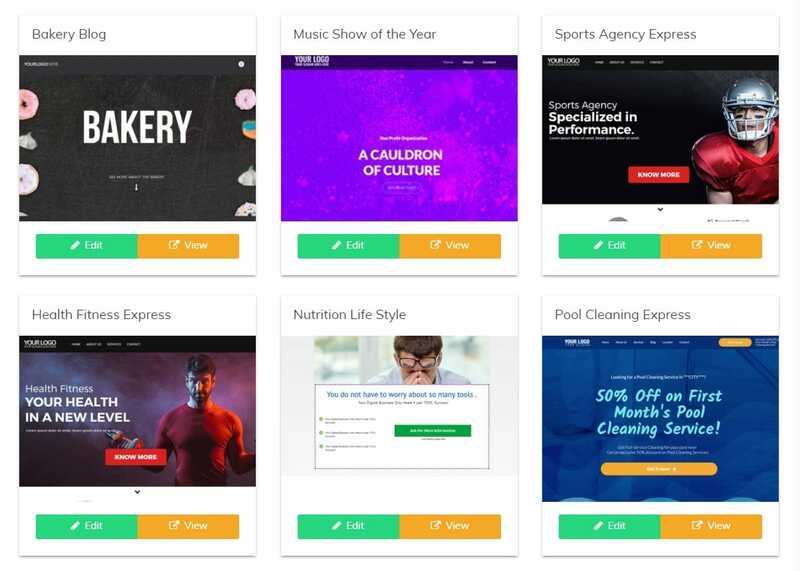 Builderall lets you split test your website, landing page, and sales funnel designs. This allows you to find the designs that most appeal to your potential customers and that achieve the highest results. Builderall also provides a Heat Mapping app, called Click Map. This will enable you to see where your audience has been clicking on each page, helping you understand how your visitors are navigating your site. Builderall also integrates with Google Analytics to enable you to further monitor and track who your audience is and how they are behaving on, and engaging with, your site. So whatever your business, you will be able to use the solutions that work best for your project. Builderall has an extensive knowledge base, helping users to learn how to use its plethora of tools. Select from over 400+ training and tutorial videos that walk you step by step through the different processes and stages of setting up a website, email campaigns, sales funnels, and more. One useful area of the Builderall knowledge base is the Quick Start. 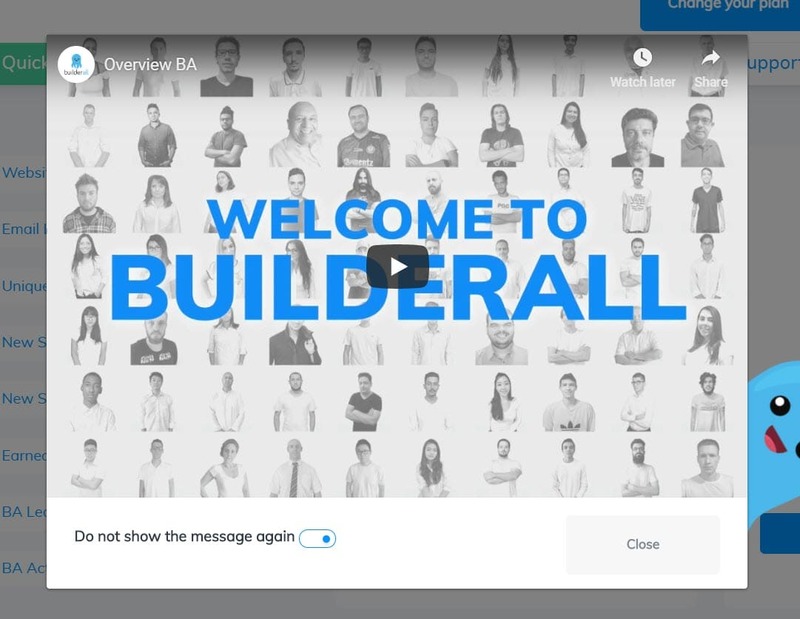 Created for new members, these videos aim to welcome individuals and onboard information quickly, so anyone who has just joined the Builderall family can immediately get started. There is also a YouTube channel, providing yet more videos. These include further Builderall tutorials, as well as tips, tricks, and inspiration for creating and growing a business on this platform. Furthermore, a weekly meeting is aired on YouTube, where Builderall users can ask questions and discuss the platform’s numerous features. Another impressive community element is the Builderall Facebook page. Here you can connect with other Builderall users, discuss problems, ask questions, share ideas and learn from the wider community. And lastly, if you haven’t managed to solve your query from using any of the above avenues, then there is a robust support team ready and waiting to help. On the Support page, you can open a ticket and explain your problem. One of the Builderall support team members will then get back to you as soon as possible. SEO – All Builderall templates are fully optimized for the search engines, and you can also make full use of the Builderall SEO on Page Report Tool to help analyze your content for those all important keywords. Blog Builder – Quickly add blog posts using the intuitive Builderall blog builder. Browser Notification System – Builderall provides unlimited browser notifications to help you promote events, new blog posts, videos, webinars, and much more. 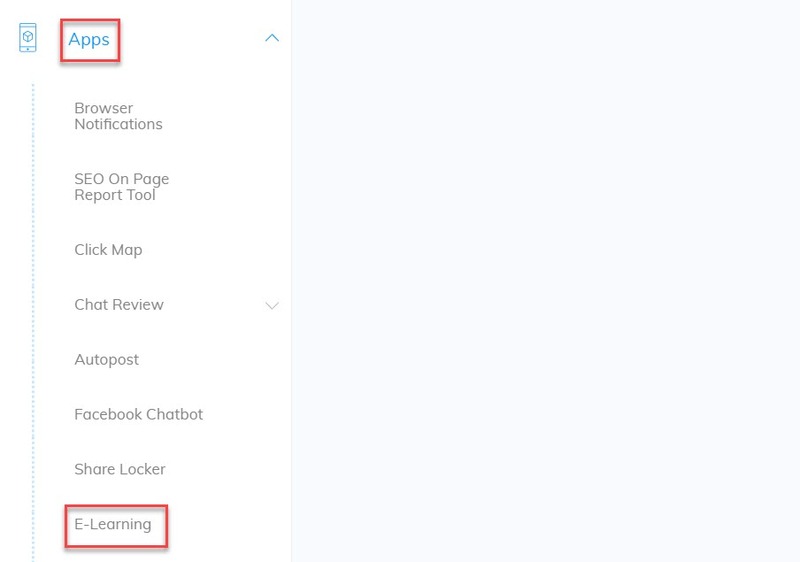 Facebook Messenger Chatbot Integration – Create and automate entire conversations with Facebook messenger chatbot, leading your potential customers to convert against your goals. Autopost – This tool allows you to schedule your posts on social media. Facebook Pixel – Install the Facebook pixel on your website in just a few clicks, giving you greater insight into your audience. Share Locker – This useful tool enables you to block access to certain pages of your site until users have shared your content on social media. Social Proof Tool – This application enables you to add social proof to your checkout pages, sharing info on recent customers who have made a purchase. This will help you to build trust with other potential customers, resulting in further sales. Presentation Builder – Create online presentations to wow your clients. Script Generator Tool – Builderall’s script writing tool will write your site’s copy for you. Use this feature to produce strong copy for your sales letters, web pages, videos, emails, and more. Builderall is a premium digital marketing platform, but it does offer a 7-day free trial, so if you are interested in signing up to this platform you can do so for free and give it a try. To get started with Builderall, you will first need to register your information. 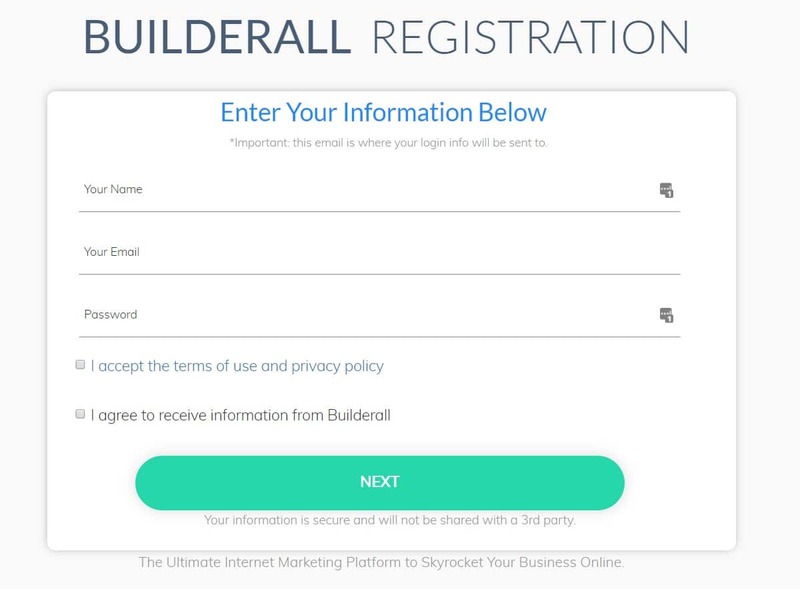 Once you have completed the signup process, you will arrive at the Builderall dashboard, where you will be greeted by a ‘Welcome to Builderall’ video. This video is worth a watch as it gives you a brief overview of what you can expect to find in the Builderall dashboard, it introduces you to the tools available, and helps you become familiar with navigating this platform. Once you have watched the video, scroll down the homepage. Here you will find the key apps and tools that you will need to create your new online business. These tools can also be accessed through the menu on the left-hand side of the page. As we have learned so far, there is much you can do with Builderall in respect to creating websites, sales funnels, webinars, and more. Therefore, we will now look at how to use some of the most important features to create a number of different outcomes. Designing a website with Builderall is a very quick and easy process. Firstly, from the left-hand menu select Builders > Drag and Drop Responsive Builder > New Responsive Site. If you want more control over the visuals of your website on different devices select Drag and Drop Pixel Perfect. Similar in usability to the Responsive Builder, this tool will allow you to configure the formats of your website for desktops, tablets, and mobiles, as separate entities. You will now find a wide assortment of templates to choose from, and a Categories menu on the left-hand side of the page so you can filter the results. 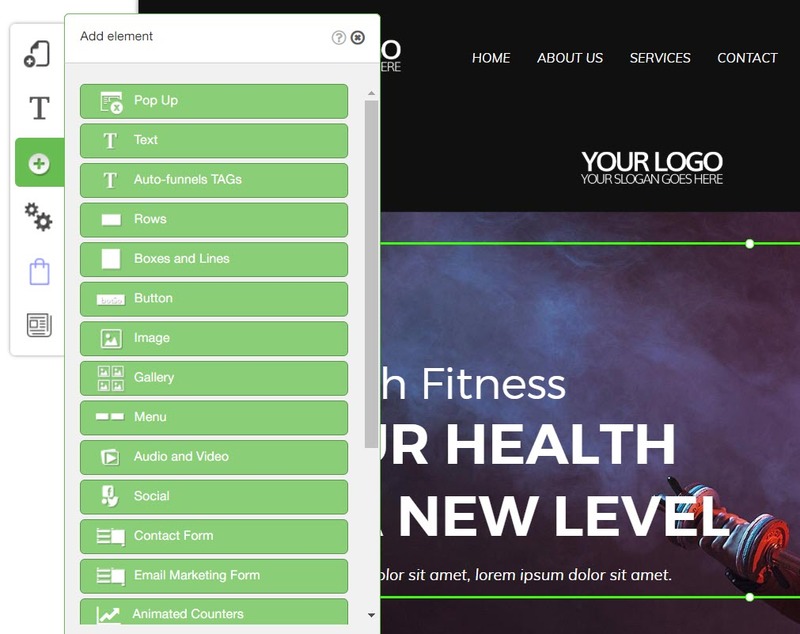 Here you can view each demo website, and when you have found a suitable template for your website, select Edit. If none of the templates grab your attention, then you can also choose to use a blank template and design your site from scratch. Once you have made a selection, the template will open within the Builderall Drag and Drop Responsive Builder. The Responsive Builder is extremely easy to use, allowing you to simply drag and drop elements around the page. The left-hand menu provides access to any extra features and configurations that you may need, including layout, page, and menu customizations, blog and eCommerce functionality, numerous design elements, and much more. By clicking on the top Layout icon in the left-hand side menu, you can change your site’s template, add extra pages, change the order of your site’s menu, and add a site title and favicon. Other global settings can also be applied across your whole website, like changing the background color or image, altering the font styles, and adding that all important SEO information. The next icon in the menu bar deals with text. 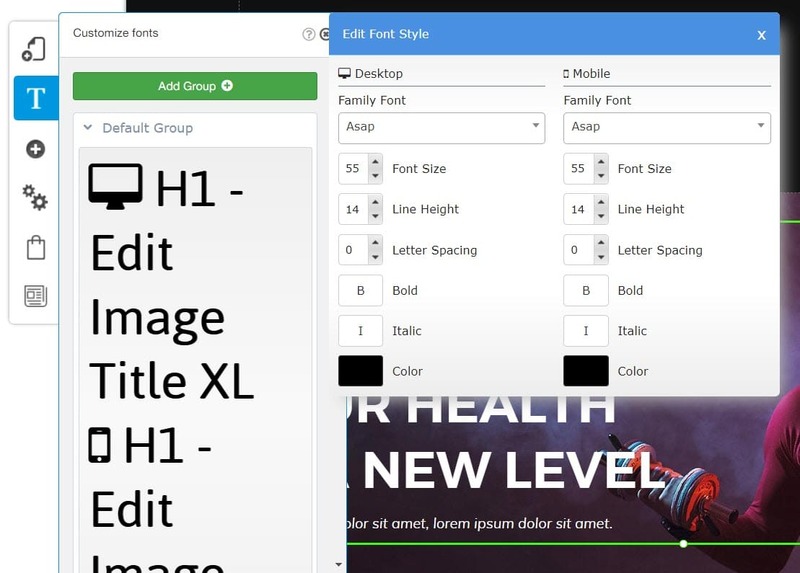 Here you can manage text layout groups and how they appear on your website. Options include configuring font style, size, and color, as well as applying bold and italic effects. These design elements can be selected, customized, and then drag and dropped onto your website in the appropriate position. The Blog Manager icon is the last icon in the left-hand side menu bar. Templates don’t initially have blog functionality until you select Blog Manager > Add Blog. Within the Blog Manager you can view your published posts, write new articles, add categories and tags, and schedule articles to be published. You can also add images, videos, GIFs and more to your articles to help them connect with your audience. Take your time to familiarize yourself with the Responsive Editor, then customize your site to your exact specifications. At any point you can preview your design by clicking on the Preview icon from the top menu bar. You will also find the Save icon in the same icon bar. 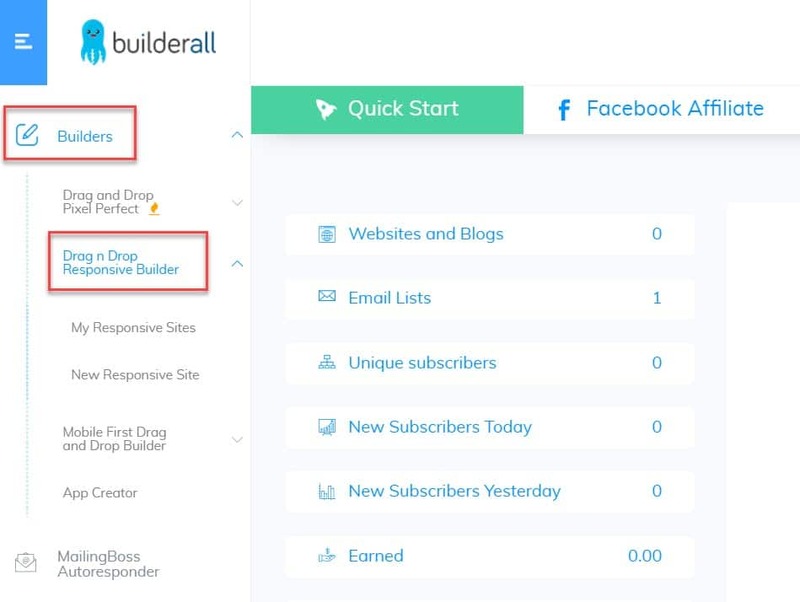 Once you are ready to publish your website, return to the Builderall dashboard and select Builders > Drag and Drop Responsive Builder > My Responsive Sites. Connect a Domain (Builderall doesn’t provide a domain registrar service. If you want to create and purchase your own domain, use a third party registrar like NameCheap). For any of the above options, simply follow the Builderall instructions. Once published, open your live website to check it is working smoothly. If you are looking to create a membership site, or restricted area within your site, you can do this within the Responsive Builder. 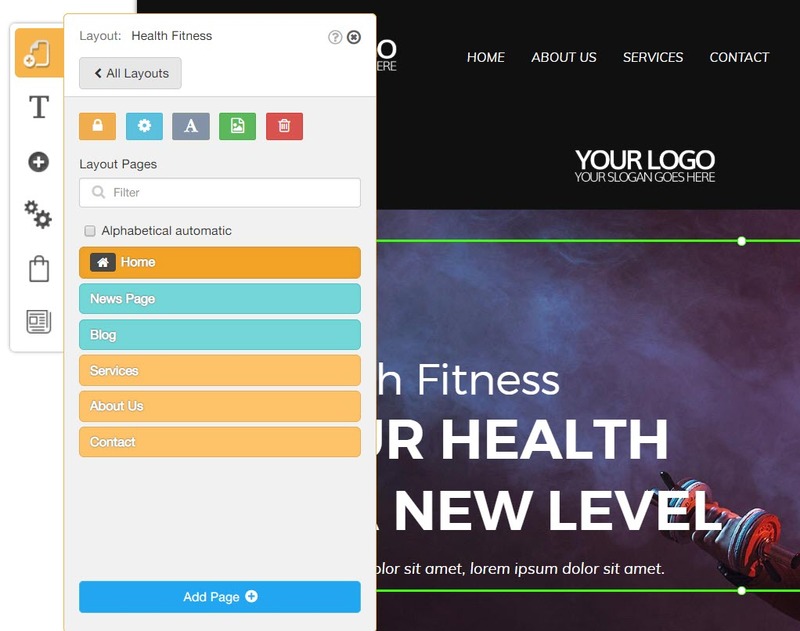 Open the Responsive Builder with the template of your choice. If you haven’t chosen a membership template then select Elements > Buttons to add a Login – Register button to your site. Now create your membership area using the Responsive Builder tools. Once finished, click on Layouts > Restricted Membership Settings. You then need to give your membership area a name and select the access procedure. You can also select to register new subscribers onto one of your Mailing Boss mailing lists. Your membership site will now be set up. Switch back to your Builderall dashboard, Publish your site, and then check the membership area is working smoothly. To create an eLearning course, you will need to familiarize yourself with the Builderall eLearning platform. Within the Builderall dashboard, select Apps > eLearning. Builderall will now take you to its eLearning dashboard where you can create your courses. Once the eLearning platform has loaded, select Create Course. You then need to create a new category for your course and give your course a name. You will also need to add yourself as a teacher, upload a picture and write a brief introduction of who you are and your qualifications or experience in the field in which you are teaching. This will help you build trust and connect with your students. Once you have created a course, select Courses from the left-hand menu. Here you will find a list of the courses you have created. Under Options, from the drop-down menu, click on Edit to design your course. Create modules and lessons to break down the course into bite-sized chunks. Add content from YouTube, Vimeo, or upload files from your desktop, to name a few options. After you have designed your course and saved it, you can then choose to share it on social media or embed your course into a page on your website. To do so, reselect Course from the left-hand side menu, then select the Options icon next to your course name. Click on Share and Embed, then either choose to share on Facebook or Twitter, or copy the embed code. If you want to embed your course into a web page, go back to the Builderall dashboard and open your website in the Responsive Builder. Select Elements > Apps > HTML, and you will now see a grey box displayed on your screen. Right-click in this grey box, select Edit, and then paste your embed code into the Insert HTML panel. Now simply resize the course box, and then Preview and Save your website. Your e-Learning course will now be live. Another useful feature that Builderall offers is its webinar platform. This is extremely easy to use and takes little to no time to customize the settings and begin recording. To get started with this tool, select Webinars from the menu in the Builderall dashboard and then click on + New Webinar. 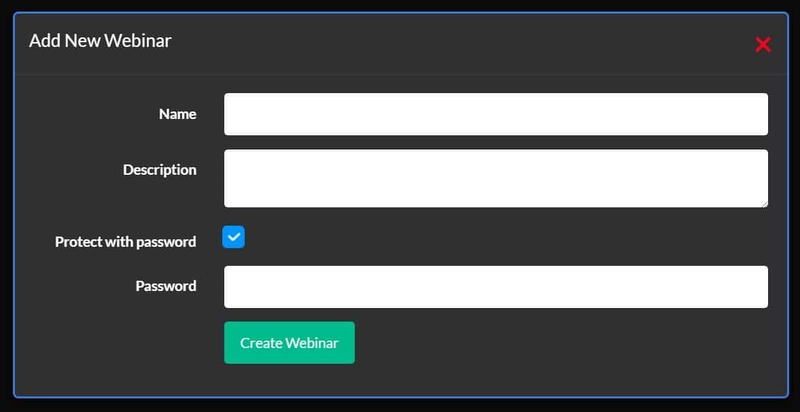 You will now be asked to give your webinar a name and description, and you can also protect it with a password of your choosing if you so wish. Next, you need to configure your webinar settings. Here you can schedule a start time, enable chat to run underneath the webinar, and much more. Importantly, it is here that you select where your webinar content will come from, whether that is YouTube, your desktop, or live from your webcam. Once your webinar has been created and the settings customized, the last step is to embed the webinar into your website. To do so, select the code icon. Then copy the code ID and Secret provided. Switch over to your website in the Responsive Builder and click on Elements > Apps > Webinar. A grey box will now appear on the screen, as it did when we embedded our eLearning course. Right click on the grey box, select Edit, and then enter the webinar code. Although Builderall is a premium tool, the pricing is very reasonable considering the extensive features and functionality provided. There are three different plans available, but it is worth noting that only the Builderall Business plan provides all the features mentioned above. Web Presence ($9.90 a month) – This website only plan gives you access to the Website Builders, templates, hosting, support, and some of the other more basic features. Digital Marketing ($29.90 a month) – This package gives you the tools to market and promote your business and services. Features include access to all the Builderall apps, unlimited use of the Builderall Mail Boss email marketing service, SSL certificates for all of your websites, and much more. Builderall Business ($49.90 a month) – This package provides the complete package for online and companies ready to launch a new business, or promote an existing one. Included in this package are all the eCommerce and affiliate marketing features, the webinar and streaming platform, CDN hosting, and more. As you can see, the plans cater for a range of needs, but with a free seven-day trial, it is well worth signing up to Builderall to check out what exactly is on offer. Builderall is a complete online business platform and digital marketing system. It provides all the tools you will need to launch and run a successful business, ensuring you don’t need to spend time and money sourcing and purchasing numerous stand-alone products. Furthermore, Builderall is constantly evolving, enabling it to stay up to date to date with its users’ needs. So if you are looking for a fully integrated platform to create and manage your new or existing online business, it’s time to check out Builderall.